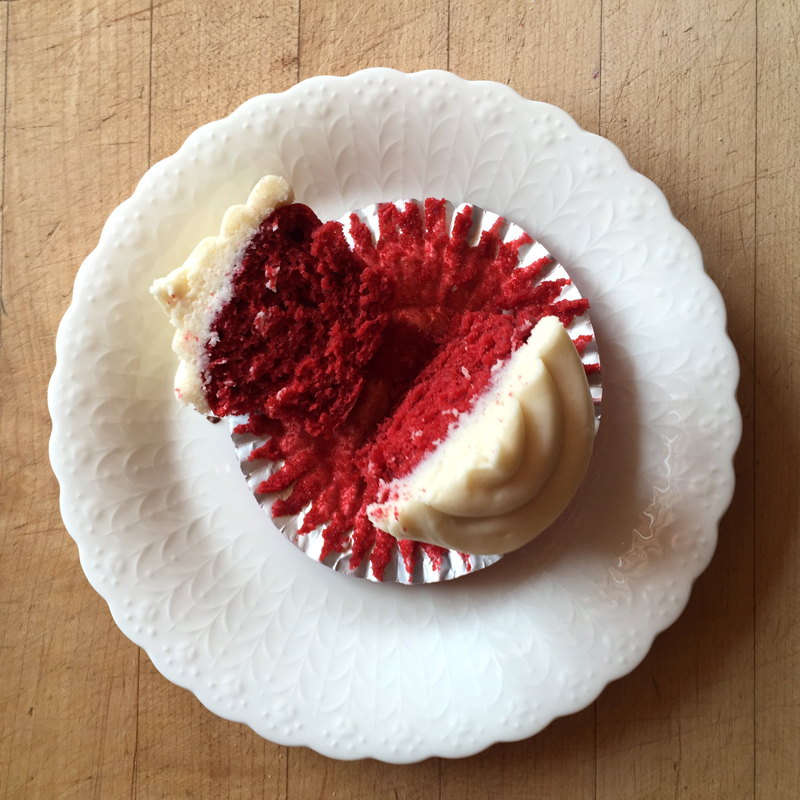 Yesterday, I had the opportunity to teach a group of young women how to make these delicious red velvet cupcakes! It was so fun to interact with them and teach them how to make such a fun and easy dessert. All of the girls were so cute and kind, but they were a little disappointed in my "volcanic eruption" of mixing the baking soda and vinegar together (hah, it produced the smallest bubbles). These cupcakes are so yummy and such a cute dessert for anytime, including Valentine's Day which is just around the corner!